The Buffalo Bills traded wide receiver Sammy Watkins to the Los Angeles Rams for cornerback E.J. Gaines. On Friday, the Buffalo Bills made a shocking and baffling decision to trade wide receiver Sammy Watkins and a 2018 sixth-round pick to the Los Angeles Rams. In return, the Bills will get cornerback E.J. Gaines and a second-round pick in 2018. Watkins will be reunited with his former teammate Robert Woods in LA. The big question about this trade is whether Watkins will actually be healthy this season. Watkins has played a total of 37 games since he was drafted in 2014 thanks to constant foot problems. 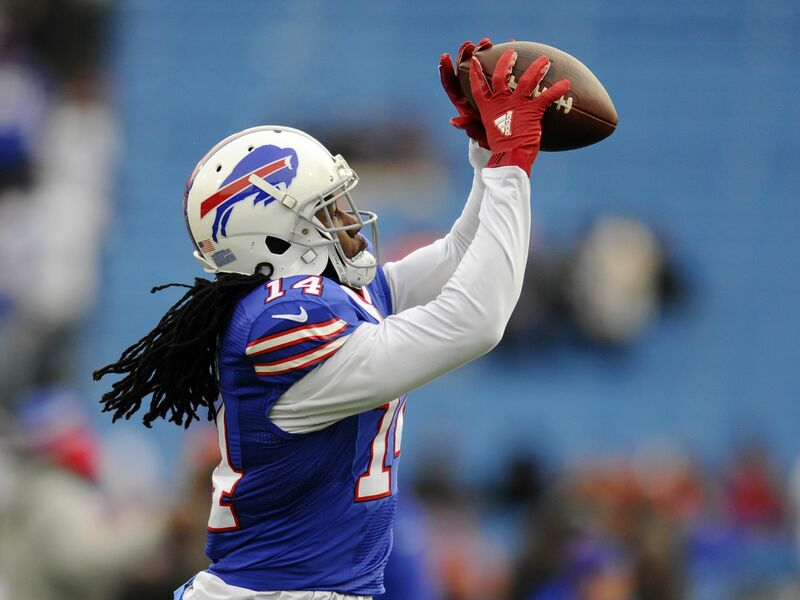 When healthy, Watkins is easily one of the most talented wide receivers in football. That’s the problem though, he’s never healthy. The Rams must think that Watkins is as healthy as he’s been in his entire career. If so, second-year quarterback Jared Goff has some real weapons to work with, with Woods, Watkins and rookie Cooper Kupp. To fill Watkins spot the Bills also made a deal with the Philadelphia Eagles, shipping off cornerback Ronald Darby for wide receiver Jordan Matthews and a third-round pick. The Bills receiver corps and secondary has had a massive turnover from last season. They now have Jordan Matthews, Anquon Boldin and rookie Zay Jones catching passes from Tyrod Taylor. In the secondary they are now without Stephon Gilmore, Nickell Robey-Coleman -who was one of the best slot corners in football last year- and now they just traded Ronald Darby. Rookie Tre’Davious White and E.J. Gaines will man the two corner spots this year for the Bills. The Bills have a new GM in Brandon Beane and a new head coach in Sean McDermott, and they’re already making changes to cater to their philosophy. This could work out for the Bills in the long run. They no longer have to deal with the question marks that hover around Watkins, they get two solid draft picks and they also receive two solid players to help the team immediately. The Bills still have playoff hopes, and these acquisitions aren’t a step back. Who knows, come late December the Bills could be knocking on the playoff door.